This is my final collection of random pics. The WIP thread will be opening in three hours. I hope these pics have been motivational. one of them started me off to do a render.. I might actually have an idea for this one, but I do have one question. For a terrain, can we use Ground Control from DCG instead of the native Carrara terrain tool? 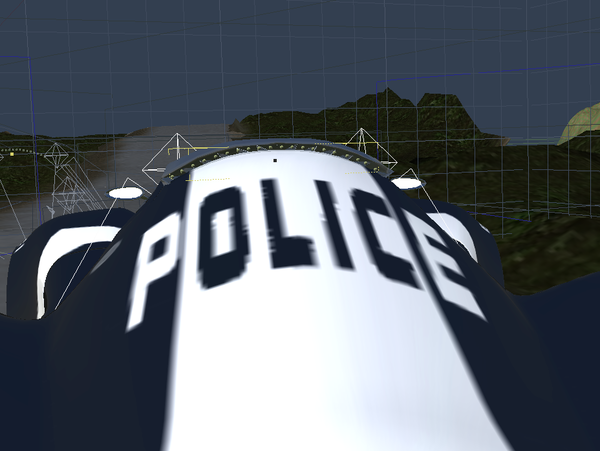 I have a terrain I would like to use, but I need Ground Control for Carrara to be able to use it. Using ground control is fine because plugins are OK and encouraged. To count toward rule 5(b), it would depend. If ground control still operates like the Carrara terrain object (I think it does, heightmap based, etc. ), then you would be fine. 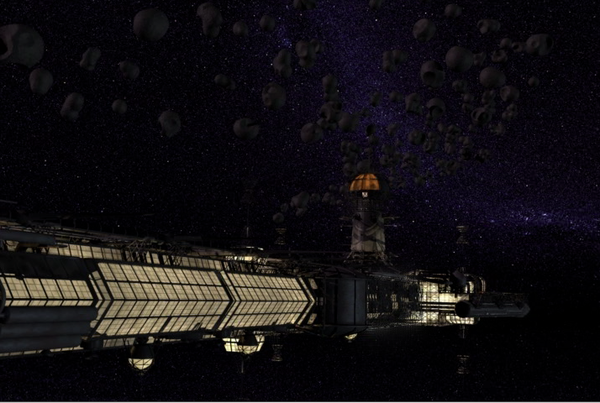 If not, then you would have to either include another terrain object in some way, or more likely, use a replicator. But you can definitely use ground control, it is just a matter of satisfying the requirement to either use a Carrara terrain or a Carrara replicator. Importing heightmaps edited in a 3rd party program still satisfies rule 5(b). I think that is what ground control essentially does, but will have to look at it more closely. I took a quick look at ground control by DCG. I'll try to explain the distinction that I would like to make. Maybe people can help me understand whether that distinction makes sense, and whether ground control satisfies it, or maybe just parts of it does. 1 - yes, ground control (and any other plug-in) can be used, if credited. 2 - requirements of rule 5(b) - I would like to distinguish importing a terrain object that was created in another program from importing the height information that Carrara converts to a terrain object. Importing a terrain object as an obj or collada that was created in another program (such as Bryce) is perfectly fine, but doesn't satisfy rule 5(b). 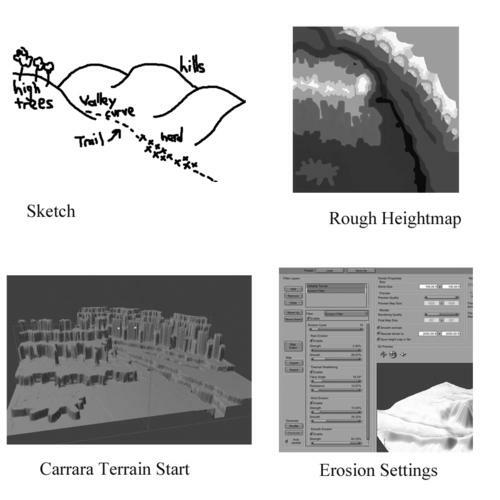 Importing a grayscale map that was made in photoshop or similar program that Carrara turns into a terrain does satisfy rule 5(b). I took a quick look at ground control and there were some functions that seemed to be closer to the Photoshop example, and thus would satisfy rule 5(b), but there were others that were closer to the import/obj example, and would not. Here is an example of a description that seems to satisfy my concept of rule 5(b), the requirement to either use the terrain function or a replicator. 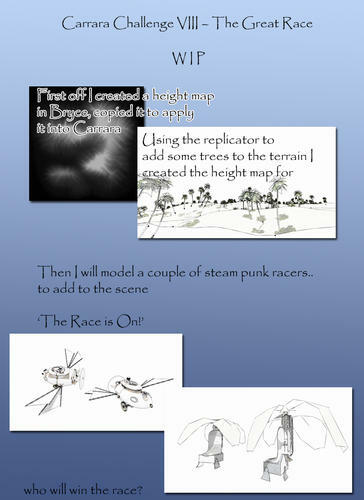 "Grayscale controls how the elevation data is translated into a format that Carrara can understand. If set on Simple, Ground Control will create a straight grayscale conversion of the elevation data for the texture and height information for Anything Grooves and Terrain objects. If Smart Weight is selected, Ground Control will use it's knowledge of Carrara's internals to weigh different colors in the texture and height information to generate many more levels than the 255 available for a simple grayscale. Mesh and Ground Control primitives are more accurate to begin with so do not benefit from Smart Weight." That seems to use Carrara's terrain functions, just enhanced. Here is a description that doesn't seem to satisfy my concept of rule 5(b), because it seems more like having another program create a mesh that Carrara merely imports. "X, Y, and Z sets the size of the imported object. Filtering controls how the elevation samples are taken when the Resolution isn't 100% and Ground Control is importing as a Mesh or Terrain. Point Sampling will just go to the closest point, Bilinear Filtering will create a calculate the value between the points creating a better, more accurate mesh at the cost of some speed." So, does anyone know how DCG's ground control works? Is my understanding correct? Note - anyone can offer an opinion on whether my distinction is operational, or if there are too many other plugins or programs that would make such a distinction unworkable. My instinct is to say that the filtering tools in ground control that are using Carrara to interpret height data, but in a more enhanced way, satisfy rule 5(b). On the other hand, ground control tools that create a primitive that Carrara imports would be OK, but would not satisfy rule 5(b). Looks great. It certainly fits the theme. I'd like to print this baby up and hang it on my wall! Thanks for having some time to fill. You did give me a couple of alternate ideas though. If height fields won't work, I could probably use a Carrara terrain for a long distance background terrain. So I'm probably good to go, if I can carve out the time, Thanks!! I could probably use a Carrara terrain for a long distance background terrain. So I'm probably good to go, if I can carve out the time, Thanks!! Yes, you can do that, or use a replicator. I want to encourage the use of DEM data and ground control. Regarding rule 5(b), it is just a question of whether the results should be treated as "3rd party content" or as "created or significantly enhanced by using Carrara's terrain functions." Here my terrain almost ready for a race around the lake (bicycles, joggers, chickens I don't know yet…). 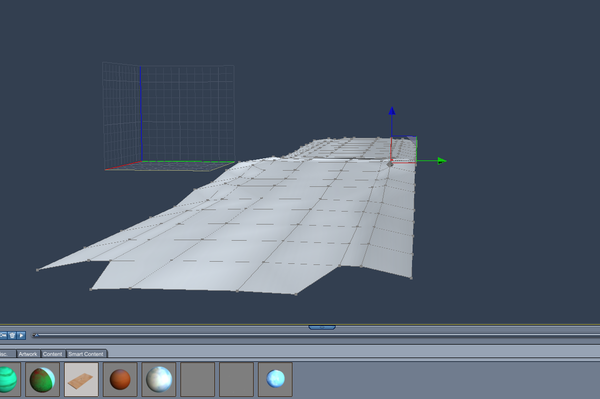 The terrain is a preset of Carrara which I modified while following the very interesting Mark Bremer's tuto. and the trees were replicated and converted with the invaluable councils of Diomede and EP on another thread. That Mark Bremmer approach to the path appears to have worked well. Which method of controlling the distribution of replicated objects did you end up using? Terrain shader? 3D paint? Other? Off to a good start. 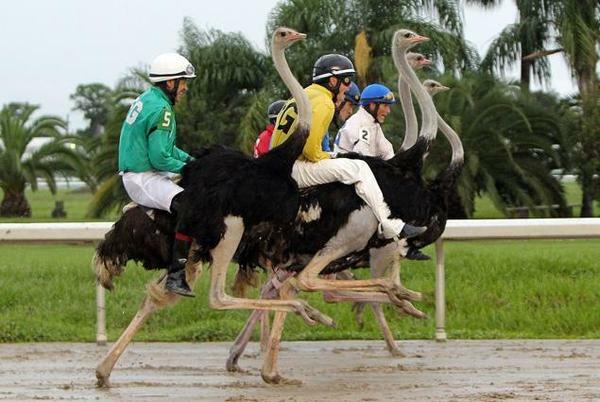 Can't wait to see what you decide to race. With the method of Mark Bremmer, one uses Photoshop and it is the occasion to create black and white copies. 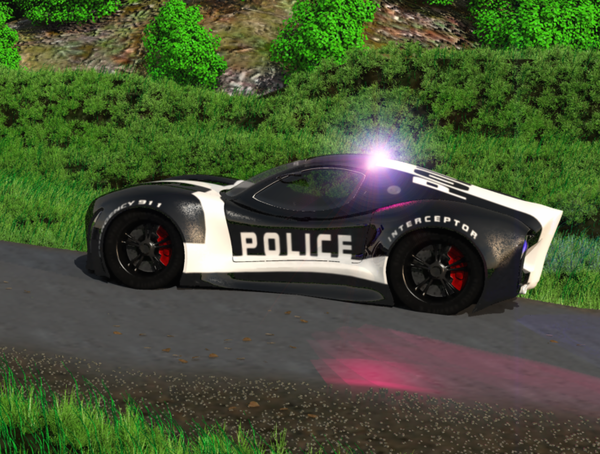 With Need for Speed movie coming out I thought I would do something like that, Here my police car for my Great Race, the Yakaki GTX-R with my police texture. I also made a light bar for the roof. Here it is with lights in the back half, just need to do the front half. Here is more WIP. 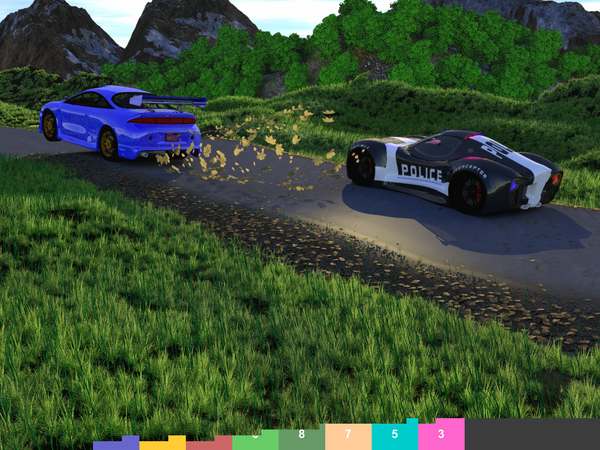 The road and the ground to the side of the road is edited vertice planes then painted on the textures. Working on the bump now. The areas just past this is from the terrain editor. Looking great, Kashyyk. I especially like the police car light, as long as it isn't following me! Two entries, and we already have two different effective methods to create roads. I like this so much that I am curious. Why couldn't you add a couple of elements to conform to rule 5 and make this an entry? I love it. 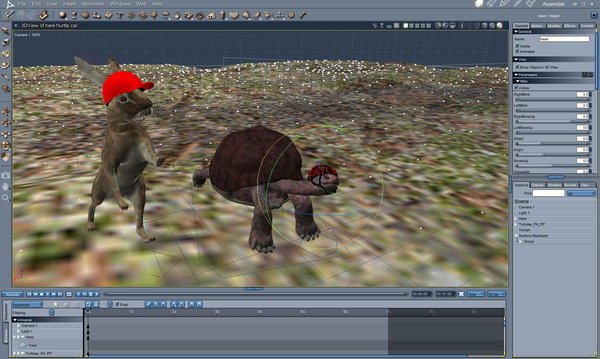 For example, could you create a shader domain on the paws and lower legs of the 'roos and replicate some dirt? I am settling on an idea from a classic movie. "I'm telling you, its under a big w." That starts the race to Santa Rosita. 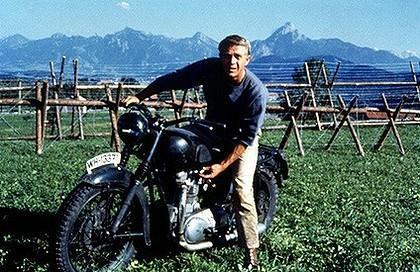 The movie has a lot of classic vehicle scenes to choose from, but I might stick with the scene in the park near the end. This is truly just a concept stage. 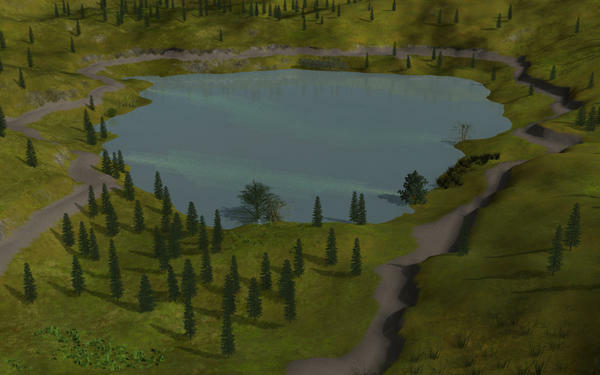 For this WIP, I inserted a default terrain and used the map editor to dig a hole. 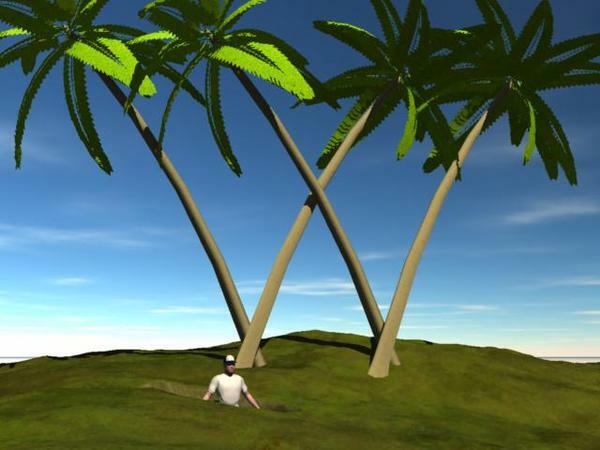 I also inserted and duplicated 4 preset palm trees and Don from Poser 5. Not sure if I will stick with this scene, but I will stick with Its a Mad, Mad, Mad, Mad, World in some way. RIP, Sid Caeser. Ha! I love that film! If I may make a suggestion about the palm trees, try and tone the leaf color down a bit. They look much better when that is done. I do too! Man it's been years since I've seen it. I wonder if it's on Netfix? I'll have to check later when I go into it. Between doing my taxes and snowblowing the drive after a storm came through this morning, I was working on this. 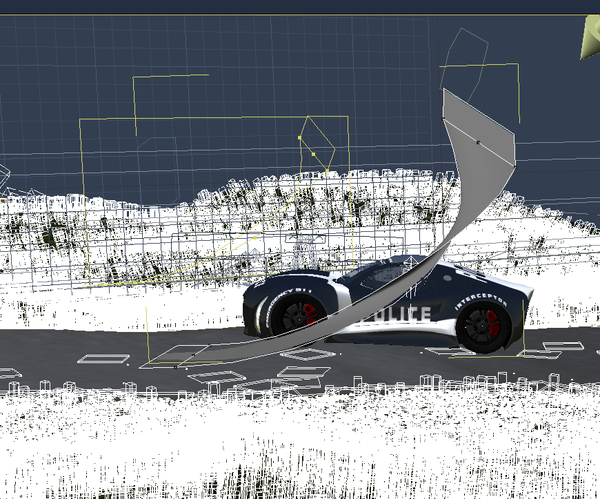 Working on scattering leaves behind the one vehicle. At first tried this twisted vertices plane then decided a hollow tube instead, tapered at one end with a twist to it. Great movie. it a Mad, Mad, Mad, Mad World just got remastered recently and released on a 5 disk DVD/Blue Ray Criterion Collection set. Criterion stuff is great, for years that was the only way to see the original Rated X version of Robocop until bluray! Wow. You guys sure have gotten good at making WIP threads. There's a lot to take in here. Excellent! I could.. but I won't.. Most of the content in the image is purchased content and/or freebies and the impression I have from these Carrara challenges are the more done in Carrara the better..
maybe good for a content challenge for the future.. So how was your surf trip? Love the Hair vs Turtle approach! Good seeing you back! That's a great idea to use a surface replicator on a hidden object. I used the same technique in my homage to The Black Hole on my youtube channel. I replicated asteroids on a curvy spline object. I offset the hotpoint a bit and rotated it a little to give the impression of the asteroids kind of curving through space on the way to the black hole. @Stezza, that is a fantastic presentation of your WIP. I think it is a shame that custom objects in Carrara have been overemphasized (even though I was a beneficiary) because using content designed for Studio and Poser is one of the great features of Carrara. I almost chose a theme to require the use of content but I didn't get a lot of feedback on the options I presented. 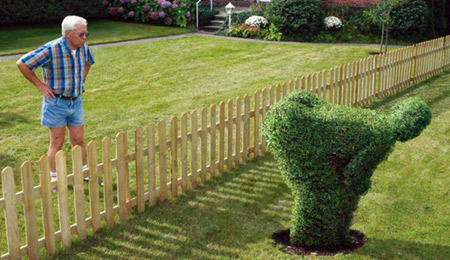 My second entry is going to be for the "Don't fence me in" theme. 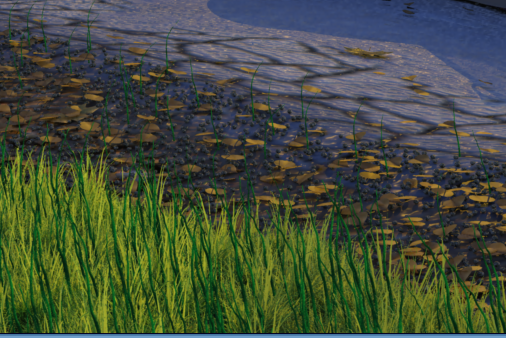 I plan to have a widescreen image of a landscape with a herd marching along a valley. 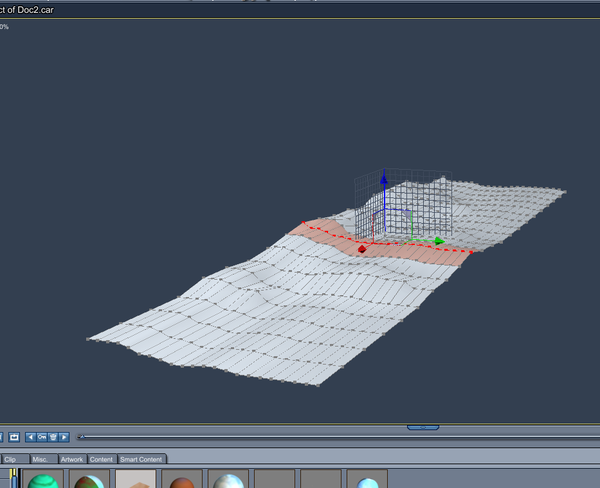 I am attaching my planning idea and my progression in the Carrara terrain editor. First, I drew a rough sketch of what I was thinking. Then, I went into photoshop and painted a crude heightmap that would have a far line of hills on the right and another hill on the far left. 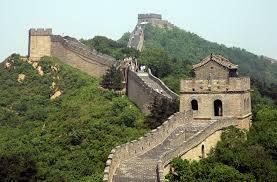 The idea is to have the valley wrap around a promontory. I want to use figures so I used a medium scene even though I am doing a landscape. 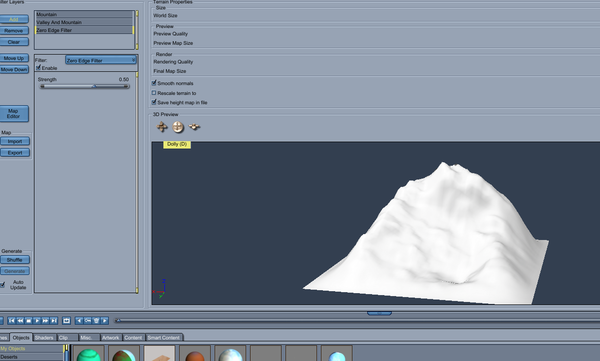 I imported the crude heightmap into Carrara's terrain editor, and scaled up the terrain to 2050 x 2050. I then used the erosion filter to shape the crude heightmap to a valley and line of hills. I used very low settings for rain and wind because otherwise you get deep holes where the rain comes down and the wind destroys the mountains. This is just the raw terrain. It needs to be textured. I will be replicating foliage and a line of cattle. 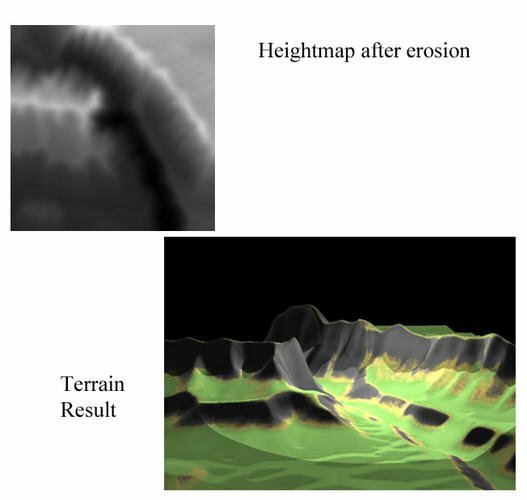 And here you can see the heightmap as it is finished after Carrara's erosion filters. The rules are really up to the person doing the challenge for a particular month. 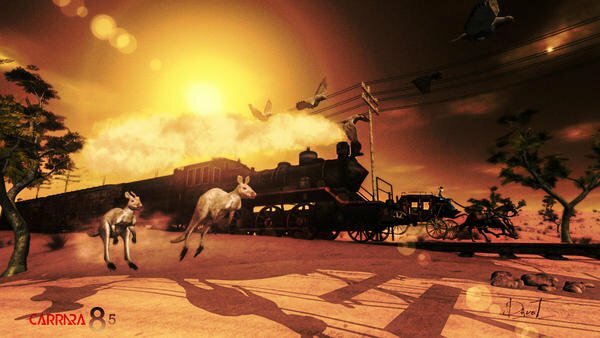 The original idea was to place Carrara in a positive light and to drum up support for Carrara, Carrara PAs and DAZ 3D, which is why DAZ Content has been allowed. The other idea was to educate new users to the fact that Carrara has some really cool and powerful features which can be intimidating or cryptic to use at first blush, but once introduced, are surprisingly easy and fun to use. That is why various hosts are encouraged to choose some unique feature to include in the contest, and to also have a WIP thread. I don't recall for sure, but I may have been the first include a choice of features to use. The reason for that was to be inclusive to Standard edition users and Pro edition users.